1. When and where does the co-op meet? Academy Days co-op meets weekly during the school year on Tuesdays from 9:30 a.m. until 2:30 p.m. at Coosada Baptist Church (5687 Coosada Road in Coosada) with a fellowship time from 9:15 to 9:30 a.m. We have two periods in the morning and two periods in the afternoon with a lunch from 11:30 to 12:25. Each semester (fall and spring) covers 14 weeks, which includes 12 classes and 2 breaks per semester. Coosada is a small town adjoining Millbrook, so most of our families live in and around Millbrook, Elmore, Deatsville, Wetumpka, and Prattville, but a few drive from as far away as Montgomery, Birmingham and Clanton. While we'd love to have you no matter where you live, because of gasoline prices and travel time, please consider prayerfully before you commit to the co-op as we rely on participation to keep the co-op going. 2. What is a co-op? Isn't this like a private school? Is this a church school? Co-op classes are a cooperative effort among several families to supplement their children's home education by working together on subjects that are difficult to teach at home or best taught in group settings. Some activities, such as P.E., need a large space or several participants to present the subject matter most effectively. 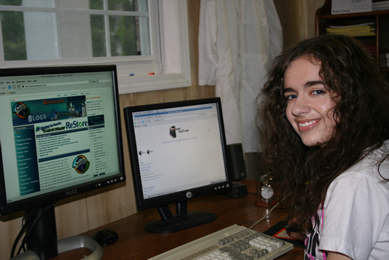 Other subjects, such as biology lab or computers, may require a financial investment in materials which can be shared with a group of families to lessen the expense for everyone. We believe that we can accomplish more as a group by taking advantage of each other's strengths and experiences. This is not forming a private school but applying homeschooling methods to a group larger than just one family. Parents are still the primary teachers for classes taught at co-op. Academy Days Co-op does not keep records or transcripts. The co-op is not a church school, so all families with compulsory-aged children (ages 6 to 17) must be enrolled in a church school. Academy Days Co-op is a function of Outlook Academy. Although many co-op members are also members of Outlook Academy, any church school membership is acceptable. 3. Who manages the co-op? What is the Leadership Team? Why isn't it an elected board rather than self-perpetuating? Academy Days Co-op has a Leadership Team of three current members of co-op. The team is self-perpetuating, meaning the leaders serve until they step down and the existing team determines the replacement. A fundamental rationale for a self-perpetuating board structure is its ability to provide continuity of purpose over a long period of time. Existing Leadership Team members select those new Leadership Team members who they believe are best able to preserve Academy Days Co-op's core values and carry out its mission. This compares to an elected board where some people are elected based on popularity or where the majority of people are voting for nominees they barely know. All current Leadership Team members are also Academy Days Co-op members. By tradition, new Leadership Team members are usually sought from the ranks of Academy Days Co-op members who have young elementary children, to represent the families without high schoolers. We also seek Leadership Team members who are homeschoolers of more than two years, are well respected and active within the homeschool community, and demonstrate Christian vailues and morals. Leadership Team members have a strong incentive to choose a new leader carefully and prayerfully because the continuity of Academy Days Co-op and the success of our members are heavily dependent on the abilities and character of future Leadership Teams. "Self-perpetuating" is the most common way of electing Leadership Team members in nonprofit organizations. It should not be confused with a "perpetual" Leadership Team, as the Leadership Team members not only step down when they no longer participate in co-op, but also can be removed. A board that elects its own members has the advantage of determining its needs based on the profile of the present board. It can stress group dynamics as well as missing skills as the key focal point for the search of new candidates. It can stress the need for diversity among board members. This process clearly is labor-intensive for the current board, but it provides an opportunity to bring together a group of committed people who have had a chance to define their mutual goals. Self-perpetuating Boards have lower costs, make decisions more rapidly, have less political turmoil, and are more effective at oversight. 4. If I sign up my children for co-op classes, does that mean that I don't have to teach them at home? No! The parent is still the primary teacher for classes taught at co-op. While our classes are designed to provide students with specialized instruction, co-op classes do not absolve the parents from their responsibility for their children's education. Parents must ensure that their students keep up with assigned work each week as well as administer tests and determine final grades. 5. What are the requirements for enrollment? Do we have to be members of Coosada Baptist Church or Outlook Academy? Membership is open to all homeschooling families of any homeschool covering. You do not have to be members of Coosada Baptist Church or Outlook Academy to participate. Parental participation is mandatory, and if your child is at co-op then you must be at co-op too, serving as a teacher, team teacher, helper or set-up/clean-up crew. Fortunately, we have enough parents to ensure that we do not need to "work" the entire time we are at co-op, so co-op is a source of socialization, support and encouragement for parents as well. 6. How do I enroll my children? How can I get on the waiting list? Pre-registration is mandatory because it holds a slot for your child. We intentionally keep the classes small, so they fill up fast! We don't want a family to show up at final registration and then find out the classes they want are full. Please email carren(at)outlookacademy(dot)com to pre-register your child. To complete the registration, you must attend Registration and Orientation held two weeks before the start of classes to fill out necessary forms and pay fees. If the classes you need are full, or you missed the pre-registration deadline, or you move here after co-op has begun, you may certainly email us to add your name to the notification list to be notified when we open for new enrollments for the next semester. Simply email carren(at)outlookacademy(dot)com with your name, phone, and children's ages and grades. 7. We participate in another co-op, too. Can we be involved with that one and Academy Days? This is completely up to you. Generally, we recommend that if your high school student attends another co-op, you probably should not register for Academy Days, due to the time and expense. However, some students and families have been able to handle two co-ops successfully, so it is up to you to decide. 8. Do we have to register for all four classes in my child's grade? Some families participate in co-op a la carte style. You, too, may register your children for one, two, three or all four periods. 9. We missed the Fall Semester. Can we still enroll for Spring Semester? Yes, you can still enroll for spring semester even if you did not attend in the fall. Your high schooler may earn the full high school credit by completing the coursework from fall semester over the summer. In many cases, you can purchase the materials used in fall from the instructor for a small copy fee, or do the first half of the textbook that had been used fall semester. 10. What if we have to quit co-op unexpectedly? Please understand that our co-op will not “fit” every family, so we ask you to prayerfully consider your decision to join before you actually sign up. Perhaps read the article "15 Reasons You Should Not Join Our Co-op" before you pre-register because by enrolling your children you are committing to participating for the full semester. When even just one parent is late or absent or quits, it puts a heavier burden on the rest of us, and consequently, the children suffer. Plus, the homeschool community is a small one, and you don't want to burn any bridges unnecessarily. Nevertheless, we understand that family comes first in a crisis. If an unexpected emergency, such as moving, serious illness, or death in the family, has made it impossible for you to continue at co-op, please go to the Leadership Team for prayer and help. If necessary, ask your team teachers or helpers to take over your classes temporarily and make arrangements to give them class fees, supplies, and materials, if any. Then notify the Leadership Team. 11. How are classes planned each year? Can I suggest a class? Except for the rotating history and high school sciences, classes are planned by surveying the families involved to determine their needs. Classes with the highest interest levels and those with volunteers to teach are more likely to be scheduled, taking into account the available classrooms. If you have a need or suggestion for a class, please notify the Leadership Team. We love to get new ideas or repeats of popular classes! Previous semesters have varied. We have offered computer web site design classes, ending with competitions for the best web site. 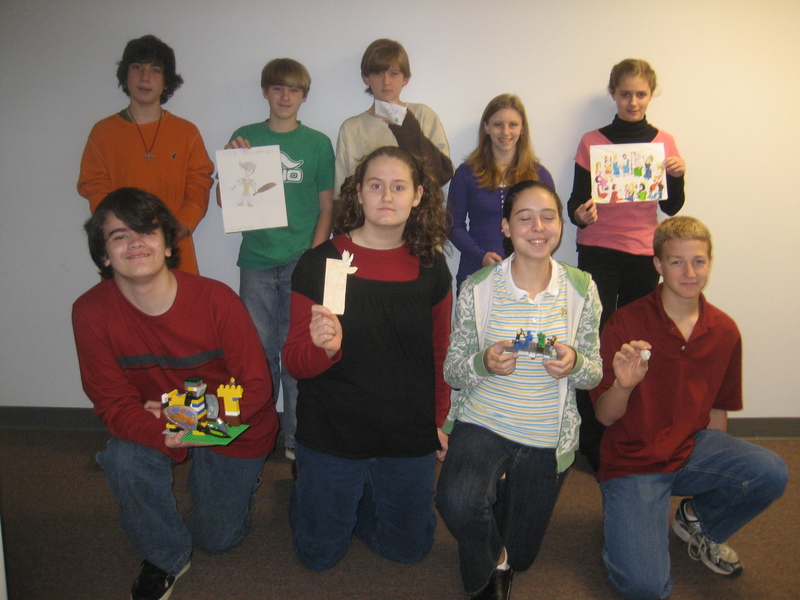 The winning site from each class was then hosted for free for one year (winners pictured at right and below). We have had junior high and high school classes in Latin as well as Greek and Roman history, culminating in a two-week homeschool trip to Rome and Greece. Also, our digital photography, drawing, acrylic and oil painting classes have finished with amazing student exhibits and coverage in the local newspapers. For a list of all previous classes, click here. Maybe they will give you some ideas for next year. To allow families to study the same history together across all grade levels, we plan a 4-year history rotation: world history; U.S. history; world geography; and government/economics (high school) and Alabama history (elementary through junior high). We also have a set schedule for gr. 7-12 sciences so your child's necessary credits may be earned over the four years of high school. 12. What is the schedule of classes this semester? Click on Classes on the menu for a detailed schedule. 13. Do you have a lunch break? We have a lunch break between 11:30 and 12:25. Co-op does not provide lunch. Most families bring lunch and eat in the fellowship hall where we have access to a kitchen with a microwave and refrigerator. If you prefer to eat out, or pick up lunch and bring it back to the church, then McDonald's, Hardee's, Subway, Sonic, Little Caesar's Pizza, KFC and Zaxby's are within a 10-minute drive. Also Pizza Hut in Millbrook and Papa John's in Prattville will deliver to the church. If you live nearby, you and your children may certainly go home for lunch as long as you return by 12:25 p.m. in time for third period class. We have no control over what individual families bring for lunch. When we are alerted to a food allergy situation, the most we can do is ask children and parents to wash their hands with soap and water after eating. For group meals and potlucks we do our best to inform co-op members of the allergy risk and label shared dishes to the best of our ability. Otherwise, parents and children are responsible for monitoring their own food allergies and sensitivities. If your child has a serious allergy, please make sure you carry an EpiPen with you at all times in the event your child is exposed. Also, please notify your child's teachers in case food is planned for a class activity. 15. How are classes filled? How can I guarantee my child will get in? Families currently involved in co-op are given the chance to pre-register for the next semester first, followed by families on the notification list (waiting list) for that semester, then pre-registration is open to the public. 16. How are classes divided? Since we homeschool, how do I know what “grade” my child is in? Classes are divided by grade and/or age as of September 1: high school (grades 9-12; 14+ years old), junior high school (grades 7-8; 12-14 years old), upper elementary (grades 5-6; 10-12 years old), middle elementary (grades 3-4; 8-10 years old), lower elementary (grades 1-2; 5-8 years old), and Preschool/K4/K5 (3-6 years old). All preschoolers must be potty-trained. We request that students not be more than two years above or below their grade peers in age. See the following two questions for details on why. 17. My child is older, but can he take a class for the younger group? We request that students not be more than two years above their grade peers in age. In most cases, children can take a class for the younger group as long as they are within 2 to 3 years of the other students, they do not present a disruption to the class, and there is space in the class. Generally, parents should be able to decide which classes their children attend based on each student's skill level, maturity and interests, but the teacher and Leadership Team make the final determination. 18. My child is 10 years old (or another young age) but does high school level work. Or my child is very interested in one of the high school classes. Why can't he take a high school class? We request that students not be more than two years below their grade peers in age for many reasons. Most of our classes are limited by the space of the rooms and by the abilities of the teachers, who may be equipped to handle only a certain age-range with an expected maturity level. Furthermore, for many courses, particularly those offering credit hours to high school students, separation by age is necessary based on the skills required; after all, we want upper level courses to be challenging for high school students trying to earn high school credit. As a result, sometimes the skills required for a class outweigh the student's interest in that class. Additionally, when a student is far advanced in academics but young in age and maturity, he may not “fit” in most high school courses. An older student can effectively sit in on a class meant for a slightly younger age group, but a younger student may not work out as well in a class intended for older students. While accelerated learners may have an advantage in academics, they usually have not achieved the maturity to go with it. Even though they can handle algebra and read high school literature, they would not be able to discuss many of the broader topics that the other high school students are interested in discussing and studying. Furthermore, although accelerated learners may be intellectual equals of the teens, they are not equipped emotionally, physically, or in any other way to participate in the teens' social events, and one of the benefits of co-op is making friends and developing a social life. Fellow classmates, who would be so much older and more mature, may not accept them as equals or friends. In other words, their emotional/philosophical level is still in elementary school, where their age places them. For their self-esteem alone, it would be better for them to be with their age peers. This will not be the only chance your child has to take that interesting class. Most classes are taught again every 2-3 years, so those upper level courses give your 6th and 7th graders something to look forward to as they approach the junior high and high school years. 19. Do you accommodate children with special needs or disabilities? The terms "special needs" and "disabilities" cover a vast array of diagnoses. Children with special needs may have mild learning disabilities or profound mental retardation; food allergies or terminal illness; developmental delays that catch up quickly or remain entrenched; occasional panic attacks or serious psychiatric problems. We have had children with asthma, food allergies, ADHD, epilepsy, mild developmental delay, and hearing impairment. Some students adapted well to co-op, while others chose to finish out the semester and did not return. Because most parent-teachers are not equipped to teach or maintain discipline in classrooms containing children with severe disabilities, please prayerfully consider if co-op is right for your special needs child before enrolling. Depending on the parent, teacher, and Leadership Team's assessment of a child's ability to participate in classes with minimal disruption to the learning process, it may be necessary for the parent of any child to be assigned as a helper or teacher in some or all of their child's classes. 20. How does my high schooler earn high school credit hours? When your child signs up for Academy Days, he or she is participating in a co-op. As such, parents are still the primary teachers of their children. We would not presume to take that responsibility from the parents. To earn the high school credits suggested for each class, parents should not only ensure that their students complete all homework, but also discuss topics during the week with their children in preparation for further class discussion. Additionally, parents administer tests and determine final grades. To use a science class as an example, such as chemistry or physical science, students read the text book and answer questions during the week at home; then at co-op once a week, they do the experiments and participate in discussion. They take the tests at home. 21. What exactly is done in the classes? Is it lecture format or projects, etc.? 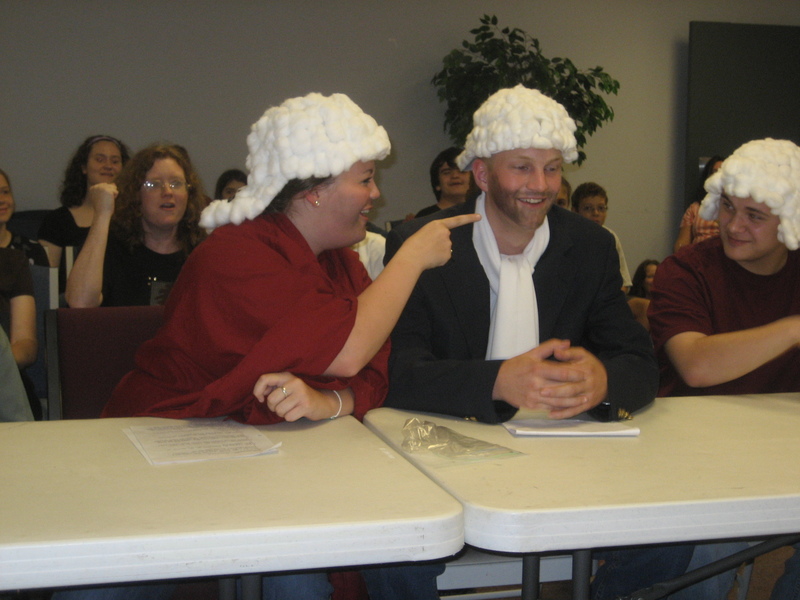 Co-op classes are reserved for group activities, such as discussion, debate, experiments, labs, projects, re-enactments and simulations, such as the high school history's Trial of the British Government pictured at left. Classes enrich and enhance what you do at home. This is why junior high and high school students are expected to read and study during the week in preparation for what they do at co-op. Tests are not given during class, but parents may test at home, or teachers may provide tests for parents to administer at home. Elementary classes involve mostly hands-on activities as lecture and discussion would bore young children. Elementary classes are enrichment, and their activities supplement academics at home. Indeed, we consider elementary classes to be like field trips or clubs -- fun, hands-on activities where the children learn without knowing they are learning! Nevertheless, we consider grades 5-6 to be "transition" classes as students move from elementary activities to junior high expectations of completing homework on time, being attentive when teachers talk, sitting still during class, working well with others in group projects, following directions, etc. Classes for grades 5-6 prepare students for junior high classes while still provide enrichment and fun activities. 22. What curriculum do you use? Do we have to use the same curriculum at home? Each teacher determines the books and materials to be used in her class. The class description will note if the student must purchase the book or if the teacher will provide handouts from the book, making purchase by students unnecessary. High school classes usually require the purchase of the book. Sometimes junior high classes require the book. On the other hand, all elementary classes are enrichment, so buying the book or using the same curriculum as the elementary class is not required and is not necessary. Most families who find co-op to be such a blessing use the same curriculum as the co-op classes or they follow along with the same topics in their own curriculum. In other words, you can use the same history curriculum as the co-op history class, or you can read and study the Industrial Revolution, for example, in your own curriculum during the same week it is being covered at co-op. Testing is not required for homeschoolers by the state of Alabama, so tests are not given during class. However, high school teachers may provide tests for parents to administer at home, or parents may certainly test their children at home if no tests are provided. 24. Why do junior high and high school classes have homework? Some junior high classes have homework, and all high school classes have homework. To earn the high school credits suggested for each class, students must complete all homework. If not, they may be asked to go to study hall or to their parent. Habitually unprepared students will be suspended or expelled from the class. It is virtually impossible to cover all necessary topics of a subject or even go in-depth on one issue in only one hour for only one day per week. No one expects high school students to retain everything in one day; instead, they are expected to work during the week to reinforce and prepare for what they do at co-op. Remember, one benefit of our co-op is to serve as a basis for accountability. For students to earn the high school credit, parents should make sure high school assignments are completed during the week. Also, they should discuss topics during the week with their children in preparation for further class discussion, and they should assign any additional coursework they feel may be necessary to complete the subject. 25. Why don't elementary classes have homework or weekly lessons/assignments? Co-op is meant to lift the burdens of parents of high schoolers, not create more. Many families follow the curriculum of co-op for every subject, but some have their own favored course of study at home in addition to co-op. As a result, any homework from the co-op would conflict with elementary students' regular schedule of courses at home, and they would have difficulty keeping up. We don't want parents to have to redo their students' home schedules to accommodate co-op. After all, one benefit of homeschooling is being able to customize your curriculum to suit your child's needs, and we don't want to take that away from you. Furthermore, although some elementary students may be able to handle the homework on their own, others will need parental help to understand the material. Since many parents have multiple children, this may create a hardship for them. Also, many students have family chores, responsibilities, and extracurricular activities in addition to their own homeschool work not covered at co-op. As a result, co-op classes for elementary students have group activities that can be completed during the class period. However, classes for gr. 5-6 are designed to bridge the gap between elementary classes and junior high courses. Students learn to complete (limited and optional) homework assignments on time, sit quietly and listen to teachers, take notes during brief lectures, follow directions on their own, work well in group situations -- skills which they will need for junior high and high school classes. Beyond this, the parent should assign additional work if the parent feels the child should learn responsibility or more about the subject. 26. What do you mean when you say co-op is "enrichment only" for elementary grades? Why can't they be more challenging, academic classes like the high school classes? Co-op classes are enrichment only for elementary classes for several reasons. We meet only once a week. There is no way to teach all there is to know in one given subject in only one hour a week for 12 weeks. That is the parent's job, not ours. Teachers will give parents a schedule (syllabus) that they can follow at home if they want, but following it is not mandatory or even necessary. Also, some students unschool while other children may have developmental delays while still others may be advanced – there is a wide range of abilities in the classroom, and we don't want to leave anyone out. Our goal is not to conform to the majority and produce cookie-cutter students. That's not what homeschooling is all about! Plus, as one mom puts it, the attention span of a child is very short, so children need lessons and activities that will be hands-on and will keep them busy. In other words, we want them to learn without knowing that they're learning! So we keep the lessons and handouts to a minimum, or better yet, we incorporate them into the activity. It's very difficult to find volunteer teachers for high school courses as they must prepare lesson plans and homework as well as correct homework. We can't imagine asking that of elementary teachers as well. Finally, different families use different curricula at home. We don't know what they may be learning in that subject at home, but we can certainly find hands-on activities that will enrich anything they might possibly be doing at home. We think of co-op as a club or field trip for elementary students each week – it's hands-on, enrichment, fun! Academics are suitable at home with the parents, who are the teachers. We are a co-op, not a school. That said, gr. 5-6 classes are designed to bridge the gap between co-op elementary classes and junior high courses. In the 5th and 6th grade classes, students learn to complete homework assignments on time, sit quietly and listen to teachers, take notes during brief lectures, follow directions on their own, work well in group situations -- skills which they will need for junior high and high school classes, but still learned in an enrichment class with no pressure. 27. What is a syllabus? Each teacher writes a class syllabus, which is simply a brief outline or list of what will be done each week. The syllabus supplies structure to the class and lets the teacher hand off to a helper or newcomer if she is absent. It also provides a guideline that parents can use to devise supplemental lessons at home and to ensure their children are prepared for class each week. 28. What size are the classes? We intentionally keep our classes small. The teachers of each class set the limit on the number of students they can handle. Except for PE, most classes range between 4 and 12 students, as with the high school cooking class pictured right. 29. Are parents allowed to sit in on classes? Absolutely! Parents may sit in on any class. Also, parents are used as “helpers” in all classes, so each class usually has 2 or 3 adult teachers and/or helpers. We believe that more interaction between students and adults leads to a more relaxed relationship between both groups. Extra hands are always a blessing. Besides, homeschooled children are accustomed to having a parent close by to give quick responses to their questions, so more adults in the room means more attentive help for the students. 30. Can I bring a visitor to co-op? 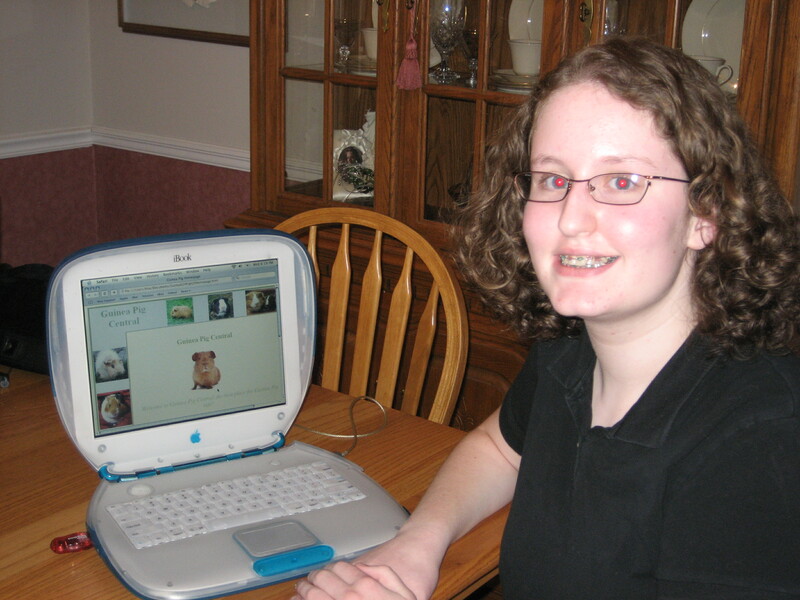 Can my older, graduated homeschooler visit? No. Visitors may join you for lunch only. Due to insurance and church requirements, only registered, paid students or parents are allowed to attend classes. Please do not put us in the awkward position of having to ask you to take or send your guest home. 31. I have a child still in public school. Can I bring him to co-op on his school vacations? No. Due to insurance and church requirements, only registered, paid students or parents are allowed to attend classes. If you have children in public or private school who are out of school, they may not attend. Please do not put us in the awkward position of having to ask you to take or send your child home. 32. Why don't you allow drop-offs? Why do parents have to stay all day? Parental participation at co-op is mandatory. If your child is at co-op, then you must be at co-op too. Our co-op is truly a “cooperative effort.” As homeschoolers, we parents are the primary teachers of our children, and this responsibility does not end with co-op. Occasionally, we all could use the opportunity of dropping off our children while we attend to other business. However, if you want such a situation, then co-op is not right for you. Of course, rushing one child to the nearest ER for stitches is always an acceptable reason for asking someone at co-op to watch your other children unexpectedly; grocery shopping or cleaning the house for weekend guests is not. We do not want our co-op to become a “Mom's-day-out” type of babysitting service – that takes the “cooperation” right out of co-op. 33. Do you have a nursery? No. The youngest child must be at least 3 years old and fully potty trained in order to take a preschool class. 34. Are classes ever canceled? If Elmore County or Millbrook schools are closed due to bad weather, co-op will be canceled. If co-op must be canceled, members will be emailed or called according to the Cancellation Call Chain. The co-op does not employ teachers. Co-op teachers are fellow parents who volunteer their time and expertise free of charge; they may be certified teachers or a parent with a degree, special knowledge or passion for a subject. For example, we have had a portrait photographer teach photography, a computer programmer teach the computer labs, a published author teach composition and creative writing, an artist teach drawing and art appreciation, a counselor teach psychology, and a nurse teach health, biology and nutrition. However, we have also had "regular" parents successfully teach economics, music appreciation, history, civics, marine biology, cooking, etc. As we homeschoolers know, if a parent likes a subject and has a teacher's manual, he or she can teach anything! In addition, one of the benefits to group teaching is having access to guest speakers! Teachers and parents may schedule anyone as a guest speaker. We have enjoyed many presentations, including a Native American expert, airline pilot, clinical psychologist, pioneer re-enactors, firemen, missionaries, senators and other government officials (such as Judge Culberson in the high school government class pictured left). Parents may elect to “team teach” a class by taking turns or teaching jointly. That way, the teachers can trade off and share the responsibility each week. Additionally, teachers have at least one adult helper, if not two, in each class. 36. Do you go on field trips? Although we have not had many field trips, an interested parent may certainly organize field trips that relate to a class. Preferably, field trips are scheduled during one of our breaks or on a Friday, since we cannot take a day off from co-op to go on a field trip. As field trips may interfere with other homeschool activities or family plans, the trips are not mandatory, but they make excellent opportunities for rounding out our children's education and helping them “see” what they are learning. In the meantime, we do invite guest speakers to the classes when possible, which sort of brings the field trip to co-op! The Aerospace Science class toured the local air port, the Marine Biology class enjoyed a field trip to Dolphin Island, and Alabama history students participated in the Camp Cosby's Underground Railroad simulation to complement their study of slavery. 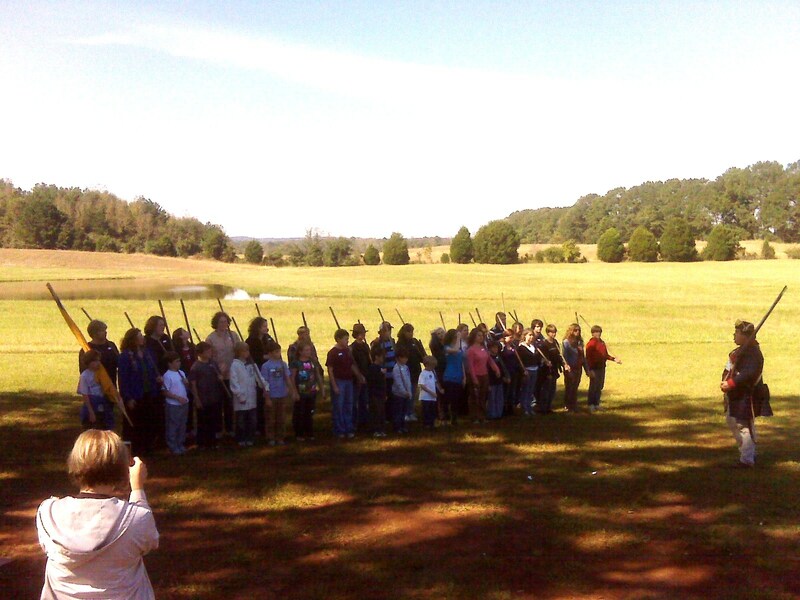 Practically the entire co-op signed up for the history field trip to American Village in Montevallo. This trip, pictured at right, capped our studies on the colonial period and the Revolutionary War. 37. What do you mean when you say we have to volunteer or “work” at the co-op? Can I specify where I want to volunteer? Our co-op is truly a cooperative effort. We need every participating parent to keep the co-op functioning smoothly. By registering your children, you agree to work during their class periods as a teacher, team teacher, teacher's helper or on the set-up or clean-up crew, with at least one period as your break time. Parents who volunteer to teach or team teach two classes automatically get two breaks. When you pre-register your children, please specify the classes in which you would like to volunteer. If your children feel more comfortable having you with them or if you need help teaching that subject at home, you can request their classes. If your children do better without you present or they prefer the independence of a class without mom, this can be arranged, too. Just indicate this option when you pre-register your children and specify if you would rather help preschool, elementary, junior high or high school. Also, let us know if you would prefer serving on the set-up/clean-up crew. Those who do not indicate a preference will be assigned where they are needed most. 38. What is the difference between a teacher, a team teacher and a helper? Every class has at least one teacher and one helper, but they are two different jobs. A teacher plans and teaches the class, including writing a description, setting fees, buying materials, organizing lessons and activities, and implementing them each week. Two or more team teachers in a class share those responsibilities equally, in any way they wish. They can take turns each week or each month, or one can plan while the other implements. Teachers and team teachers are guaranteed their class and their children's slots in co-op at every period since teachers' children have priority. Additionally, teachers and team teachers get a discount on the family registration fee each semester. A helper assists the teacher during class time and fills in when the teacher is absent. A helper can volunteer for a class, and we will try our best to accommodate her request. However, we cannot guarantee that a helper will be in the class she specifies, especially if there is a need in another class. Also, the helper's children are not guaranteed their slots in co-op as they are lower in priority after teacher's children and high school siblings. For details on expectations for teachers and helpers, please consult the Guidelines. 39. Do you have a dress code? Yes. Please click on Guidelines on the menu and scroll down about half-way for the Dress Code. 40. Does the co-op have a statement of faith? Academy Days Co-op does not have a written statement of faith, but it is a Christian co-op. We base our guidelines on precepts from the Bible, which is also used as the standard to determine the appropriateness of subject matter. Classes are taught from a Christian worldview, and each class begins with prayer. Nevertheless, we are an inclusive group, meaning we welcome all families from diverse backgrounds, beliefs, church school coverings, and homeschool styles. 41. Do co-op families get together for events that include dads? We have not yet organized such events. However, we organize a luncheon on the last day of co-op each semester, to which we bring covered dishes or order pizza for every family. Guests are welcome at that time. 42. Do the students get together for social events outside of co-op? Because so many of our children have made friends in co-op, they get together occasionally during the week or over breaks informally at each other's homes. Nothing has been formally organized, however. This could be because there are so many homeschool support groups already in this area. We often see each other at those events, such as the Fellowship of Home Educators (FHE), Elmore County Homeschool Organization (ECHO), and Maxwell Area Home Educators (MAHE). 43. Can I host a birthday party for my child during lunch at co-op? No. With the number of children even in our small co-op, there would be someone with a birthday a few times a month, so it could quickly get out of hand. Also, families new to co-op may feel uncomfortable buying gifts for children they just met. We do not want co-op to escalate into an expensive series of birthday parties. However, some parents do bring cupcakes or cookies, enough for the entire co-op, on their child's birthday, and their classmates can certainly sing "Happy Birthday" before class begins. 44. What is a co-op "feast"? Where can I get the recipes? At least once during each semester we have a co-op "feast" based on our history classes for that semester. For example, we have enjoyed a Medieval Feast at the end of our studies on Medieval Times, a Greek Feast after learning about ancient Greece, a "Celebrate America" feast while studying early American history, and a Roaring 20s feast after studying the 1920s in world history. For world geography, we organize a geography fair featuring dishes from around the world. During a feast, parents sign up to bring a covered dish relevant to the theme, and we all eat lunch together at co-op. Students often dress up to fit the theme, and classes display projects, such as the junior high literature and creative writing class pictured left where the students created projects to illustrate their original myths. Sometimes we may have a historical re-enactment. Recipes from all our feasts may be found by clicking here and scrolling down to the links to the individual feasts. 45. Do you have an "open house"? Can we visit a class in advance? No, we do not host an open house nor can we have visitors in any of the classes. Some co-ops host open houses to help spread the word and encourage new families to join. However, our co-op is so small it thrives on word of mouth alone. As a matter of fact, we usually have a waiting list. The few families who don't return the next year, either because they move away or find the co-op doesn't fit their families anymore, are usually replaced quickly. 46. How can I let other co-op families know about an upcoming event? We communicate with our members in three ways: web site, emails, and parents' lounge. First, we keep our web site updated regularly. We also have a Facebook page, Friends of Academy Days Co-op. Second, we send out emails strictly limited to co-op information. Third, we have a table in the Parents' Lounge where anyone can post upcoming events or information. If you have information to share with members, feel free to print a flyer for the parents' lounge table or announce it on the yahoo groups with one of the local support groups, such as the Fellowship of Home Educators (FHE), Elmore County Homeschool Organization (ECHO) and Maxwell Area Home Educators (MAHE). Most co-op families are members of one or more of those groups, so you'll reach them as well as many more homeschooling families. We do not intend to start a Yahoo group or any other kind of email loop. It has been our experience that people will eventually ignore frequent emails, such as those produced in an email loop. Also, members of the loop will increasingly tend to use it for any minor event or issue, eventually diluting the importance of all emails through the loop and causing truly important emails not to be read in a timely manner. Instead, we recommend that you regularly visit the web site, diligently read your emails Monday and Wednesday nights during the semester, and carefully check the Parents' Lounge each week.